One of the things that can help you grow as a writer is to learn the 4 main types of writing styles and use the characteristics of each to further develop your own personal voice as a writer. By learning how to use the different writing styles in your work, you will not only improve your skills as writer, but also learn ways to better connect with your audience of readers. 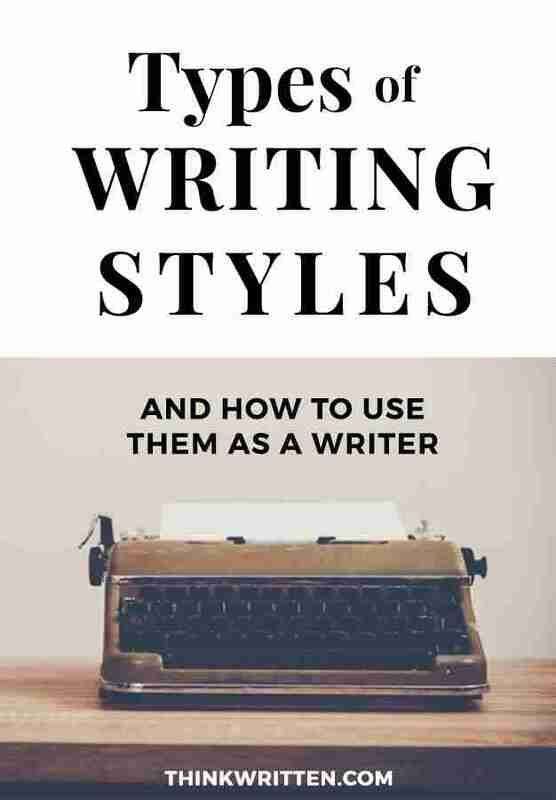 In this post we’ll cover the 4 main types of writing styles and how to use them as a writer to create compelling books, stories, essays, poetry, articles and more. Writing styles are basically another way of saying the form or type of written work you are creating. Think of it as a classification for being able to identify what kind of writing you are creating. For example, if you are writing a cookbook, that is a completely different style of writing than if you were writing a steamy romance novel! Each writing style has a different purpose – and therefore, different characteristics are present when you are writing each type of different work. Now that we understand what a writing style is – let’s talk about the 4 main writing styles which are commonly talked about amongst writers and literary educators. The four main writing styles which are commonly recognized are expository, descriptive, narrative, and persuasive. Most types of written work that fall into this category explain something in more detail, or provide insight and instruction in regards to a particular topic. What types of writing fall into this category of expository writing style? While there are many different types of written work which can be categorized as expository style of writing, you can often identify this type of writing by noticing the purpose of the work. Does the work intend to explain something in more detail? Does the written piece inform? A business newspaper is an example of expository style writing, in which it contains information, facts, and insight about a particular subject. When you write expository style pieces, your main goal as a writer is to inform your readers with insight and facts that pertain to the subject of your piece. For example, if you are writing about the history of ice cream, you would be including a lot of research and fun facts into your piece. Note that this type of writing style is not intended to persuade or influence your audience. In writing your piece on the history of ice cream, you would NOT be trying to persuade your readers. Sometimes it can be confusing on whether an article is expository or persuasive. For example, an article called “The 5 Unexpected Health Benefits of Ice Cream” – would not fall into expository writing, even though it is providing information. Books and articles that explain how to do something are also very popular examples of expository writing. Cookbooks are very popular, as they explain to others the tips, techniques, and recipes on how to cook something. How-to books for hobbies and crafts are also a good example of this type of writing. Descriptive writing goes deeper than expository writing. While expository writing might have some descriptive details and factual information, descriptive writing will make use of many writing elements and literary devices such as metaphors and similes. The purpose and goal of descriptive writing is to bring your reader into the written work as if the reader were to be experiencing it first hand. 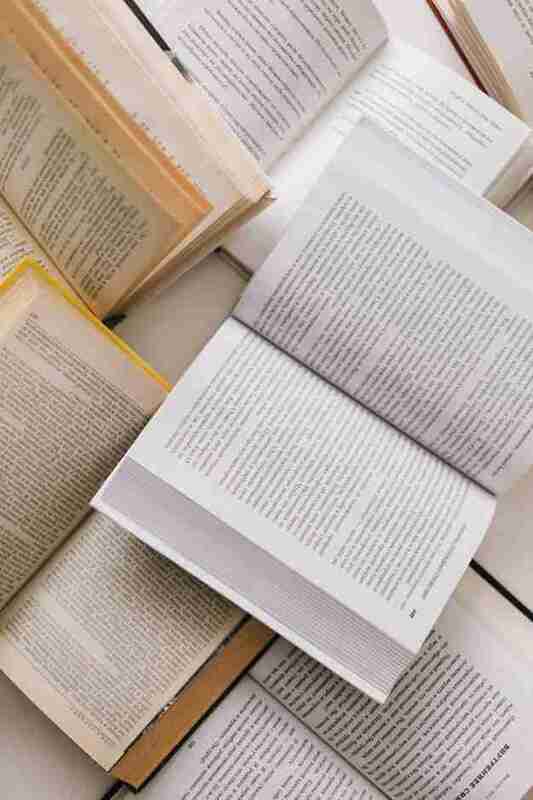 Most fictional pieces fall under the category of descriptive writing, and even some non-fiction pieces such as memoirs and creative non-fiction can fall under the category of a descriptive writing style. 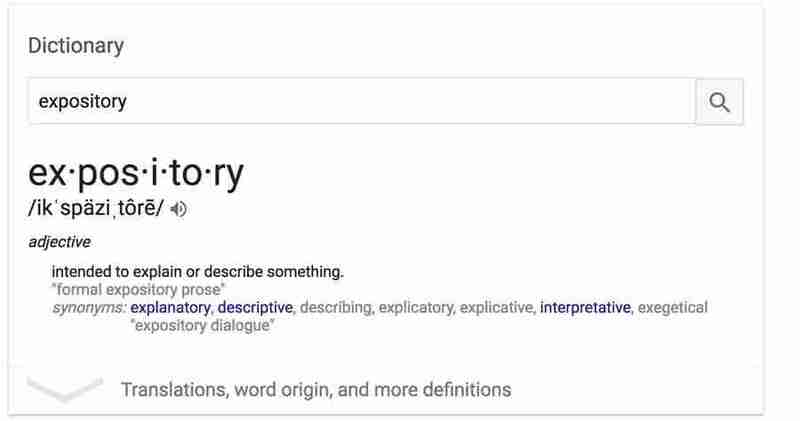 If you are writing fiction, the more descriptive you can be with your words, the more relatable your story will be to the reader. For example, we recommend that writers ask their characters questions as one way to really intimately understand the details about a character. Details about the setting, events, and people present in a story will help your readers be able to imagine and understand the piece. This style also includes poetry. If you browse through some of our poetry writing prompts, you will see there is a lot of attention put on using details to create a scene or feeling in writing a poem! Most pieces using only a descriptive writing style are not very long. It is uncommon for a fictional novel to be 100% fully descriptive without getting into our next writing style, which is narrative writing. Narrative writing is far more complex that simple descriptive writing. While a poem for example may describe a scene or even events or people – generally you do not get into the deep inner thoughts of the characters or even get a full story with a clear middle, beginning, and end complete with conflict and dialogue. 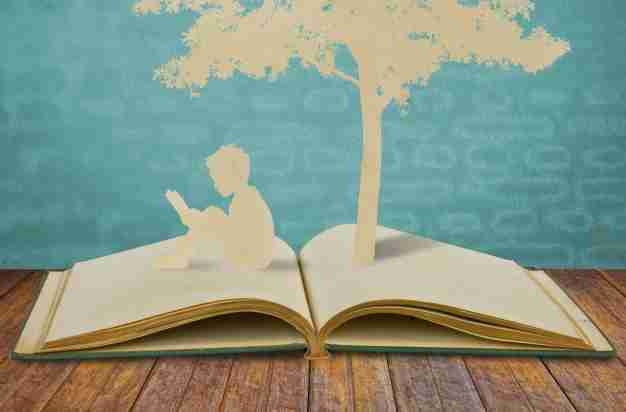 Nearly all fiction novels fall into the case of narrative writing, as well as longer epic poems and sagas. In narrative writing, there is a story to be told – a clear plot complete with setting, characters, dialogue, conflict and resolution. A narrative piece often has a timeline or sequence of events which further build to the point of conflict and resolution. Narrative writing pieces are generally easy to identify, although sometimes it can be confused with descriptive writing styles. The key difference in determining which one a written work might be is whether or not there is a developed storyline or plot. If there is a well developed plot and storyline, you are most likely reading narrative writing. Persuasive writing is a type of writing style where the purpose is to influence someone into believing or doing something. As the word “persuasive” suggests – your goal is to persuade someone’s actions or thoughts to align with your own goals as the writer. The persuasive writing essay is a popular homework assignment for many kids. For example, a student might be assigned to write an essay to convince their parents of something. “Why We Should Get a Pet Rabbit” and “5 Reasons You Should Not Make Me Clean My Room”. 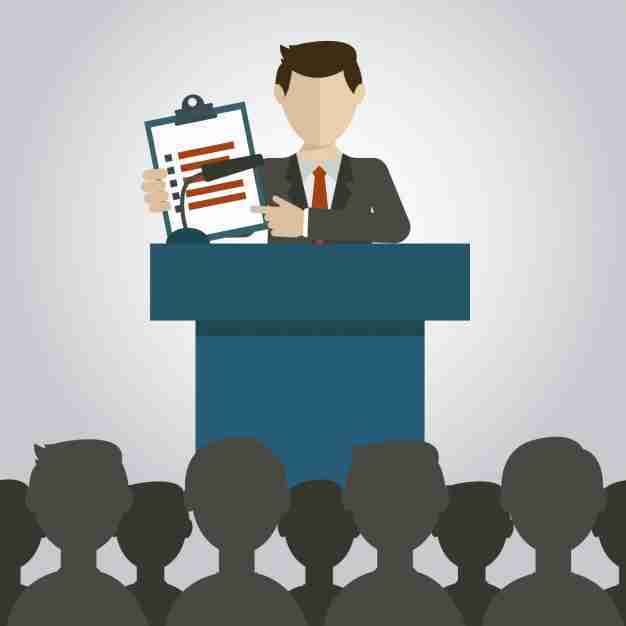 Persuasive writing is intended to convince someone of something, and so it usually needs to have a good bit of research and logical analysis – but also should attempt to make an emotional connection to the desired audience as well. A classic piece of writing which serves as an example of persuasive writing is Thomas Paine’s book Common Sense, which was written in the Colonial times of the American Revolutionary War, urging citizens that separating from England was of utmost importance. When the intention of the work is to convince the audience of something – this falls into persuasive writing. 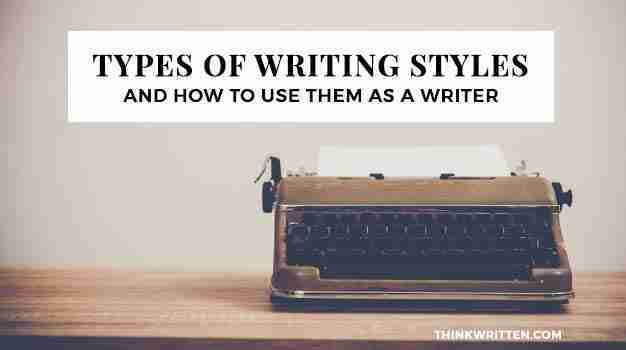 Now that we know the different types of writing styles, you may be wondering how do you use each style? The first thing to do is think about what you are planning to write and what the intention is. What is your goal and what type of message are you trying to communicate to your readers? In this type of writing your goal is to inform your readers about research or data. Use literary devices such as metaphors and similes. Use well thought out adjectives and adverbs to describe nouns and verbs. In narrative writing style, your goal is to convey a storyline to your readers. Answer the 6 W questions in your writing: Who, What, When, Where, How, and Why? Make it so your piece of work conveys an important lesson or insight – what is the moral of the story? What was the outcome of this experience? When you are writing to persuade, your intention is to convince your readers to side with you. This can be as simple as convincing them to buy your latest new product, or even writing about important social and humanitarian issues. Appeal to your readers on an emotional level – how will siding with your opinion connect with them and make them feel? Take into consideration your reader’s needs, wants, and desires and how your message will help your reader achieve these. No matter what type of writing you enjoy creating – understanding the basic main 4 types of writing styles can help you become a better writer. If you are writing a how-to article for example, you will be able to understand what types of elements to ensure your piece of work includes. If you’re writing a descriptive poem, knowing what type of language to use can help convey your message for abstract concepts. Use these different writing styles as a fun writing exercise! Even if you typically only write for one style, it can be a lot of fun to push yourself to try to write for the different types of styles. For example, try writing a persuasive essay, and then a descriptive essay on the same topic. It can also be fun to write a descriptive poem and then turn it into a narrative essay or short story. Not sure what to write about using these different writing styles? We have TONS of ideas for you with many different writing prompts! Check out our list of 365 writing prompts ideas which are sure to inspire your creative muse! Using prompts is a great way to help you start writing in different writing styles and push yourself to a new exciting challenge for your writing skills! I hope this article about the different writing styles and how you can use them as a writer will be helpful for you in building and developing your written skillset. What types of writing styles do you enjoy writing the most? Have any tips for writing in expository, descriptive, narrative or persuasive styles of writing? We’d love to hear your ideas and experiences in the comments section below! Enjoyed reading this artice. I stumbled across this website by chance and I don’t regret it. Best thing I read today. I am sure this information will be pretty helpful for my Notes in future. Great! This is very helpful. I am glad it is helpful for you Nazz! I teach English to non-native speakers and I stress, on a regular basis, about the value of being able to write as well as speak. So when I stumbled across this article I had to post it to my linkedIn page. Very informative article! Thank you.